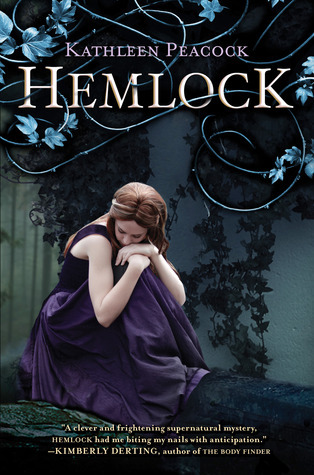 The Best Books Ever: Hemlock Giveaway! I'm going to Disney World! We are so excited to be able to go to Florida to see my husband's family and to go to Disney- for a VERY low cost! We are so excited- we want to share our excitement with you! We are giving away one ARC copy of Hemlock by Kathleen Peacock! You KNOW you want to get your hands on this book! 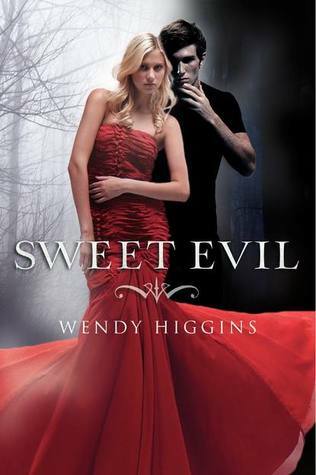 AND We are giving away a copy of Sweet Evil by Wendy Higgins! Want to win? Over 13? Live in the US or CA? Fill out the Rafflecopter below! The Fault in Our Stars, because it is the most brilliant, hilarious, and heart-wrenching book in existence. You should read Cinder or Shatter Me. Or maybe Anna and the French Kiss. Thanks for the giveaway. You should be reading Daughter of Smoke and Bone, because even if you've already read it it's worth the re-read! I just finished Legend by Marie Lu and thought it was really good. I'll echo Lexie though...read TFIOS if you haven't already. Thanks for the giveaway! I would suggest Shatter Me. What book should you read? Tempest... I loved it. I'm reading The Fault in Our Stars right now, and it's pretty awesome! Read The Goddess Test or My Fair Godmother. I loved both of them. I also didn't see Fallen on your list, so if you haven't read that one, choose it first! I just finished Under the Never Sky and Eve, and I read each of them in a single day, so I can definitely recommend both of them!! Read Gone by Micheal Grant the series is really great! You should be reading Incarnate by Jodi Meadows...truly amazing writing and great ideas! Ok, so wow...what should you read? I've finished a lot lately so it depends on what your looking to read. Warm Bodies was a good zombie book if you haven't read it. Dark Inside was an awesome dystopian, Article 5 was amazing as well. There are a lot that are just amazing! You should read Tiger's Curse by Colleen Houck if you haven't already! That series is my absolute favorite! Definitely worth reading. you won't be disappointed!!! Across the Universe! It is beyond awesome! Obsidian by Jennifer L Armentrout! Have you read Divergent by Veronica Roth? Best book ever!!! You should check out the book Forbidden by Megan Curd. I really liked it.